A large format book of photographs from Mystic Seaport's Rosenfeld Collection. 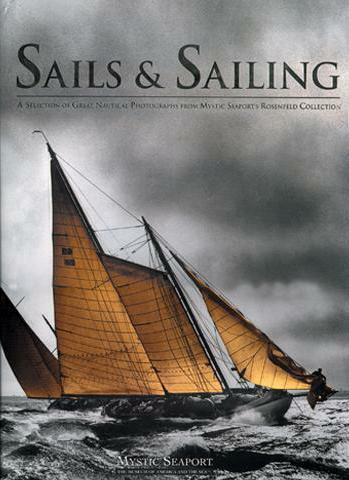 Sails and Sailing was published in 1998 in a best-selling Italian language edition. This English-language version, with chapters titled Cruising, Working, Racing, and America's Cup includes full descriptive captions for the 85 images reproduced,a s well as introductory text for each chapter. The images, many of them double page spreads, are printed duotone by Mondadori, one of Italy's best printers. Many of them are reproduced here for the first time, and they include fishing schooners, scenics, people, and yacht interiors, as well as the dramatic photos of racing yachts that the made the reputation of the Rosenfeld firm. In this book, these great nautical photographs are given the production values they deserve.